If you tuned into the Screen Actors Guild Awards to see Kristen Bell, you’re in luck, because she’s the first ever host of the event (and, ahem, that makes her the first lady to host the event, too). 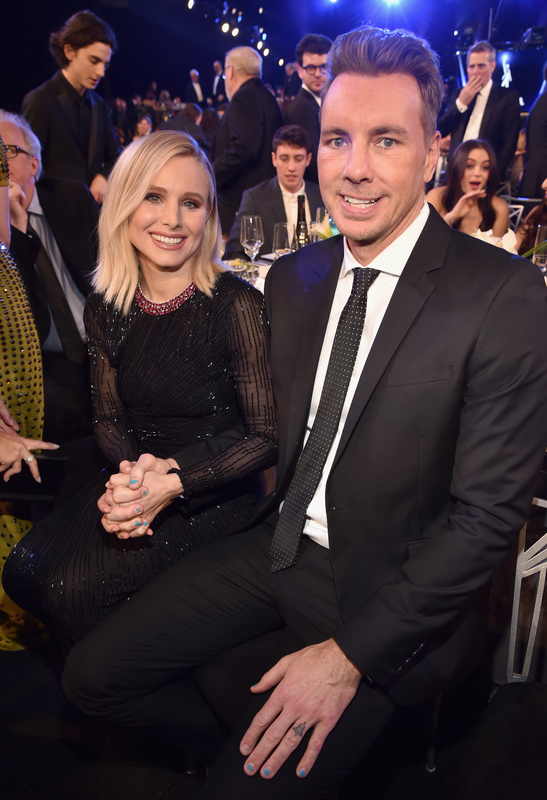 If you tuned into the SAG Awards to see Bell and her husband, Dax Shepard, on the red carpet…well, you’re out of luck. The long-time couple did not make the walk to the Shrine Auditorium together. Rather, Bell took to the carpet by herself — and also, btw, she looked amazing and like she was having the time of her life. Don’t worry about Shepard, though, as he did make his way to the event. Shepard popped up in the audience during an in-the-audience moment where Bell gushed about Greta Gerwig and Lady Bird (and also, same forever). For those worried that the two not walking the carpet together is a sign of ~trouble~, that’s not a thing, because they looked VERY happy together. There will be other red carpets, and other award shows where we can see the two of them be all cute and adorable. There’s also Instagram and Twitter, so we are in no short supply of the Kristen + Dax love.